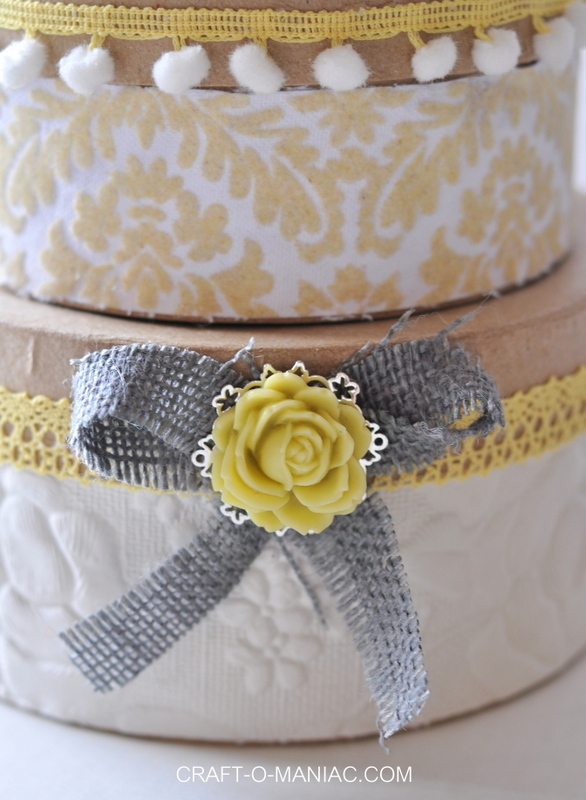 Hi guys, today I am sharing these pretty “DIY Stacked Embellished Boxes.” I made these boxes for my mom for Mother’s Day, and they totally look like her too, Yeah! 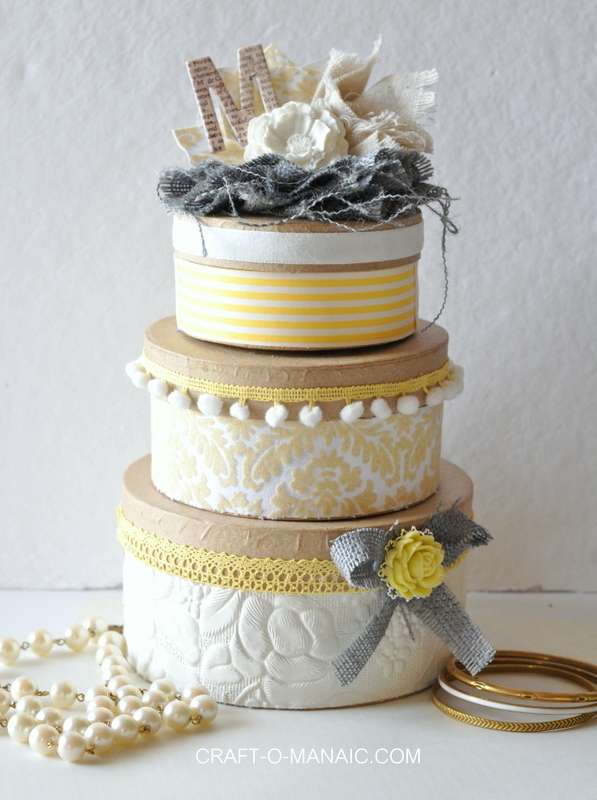 However, these embellished boxes look pretty enough to give a “bride to be” at her Bridal Shower. 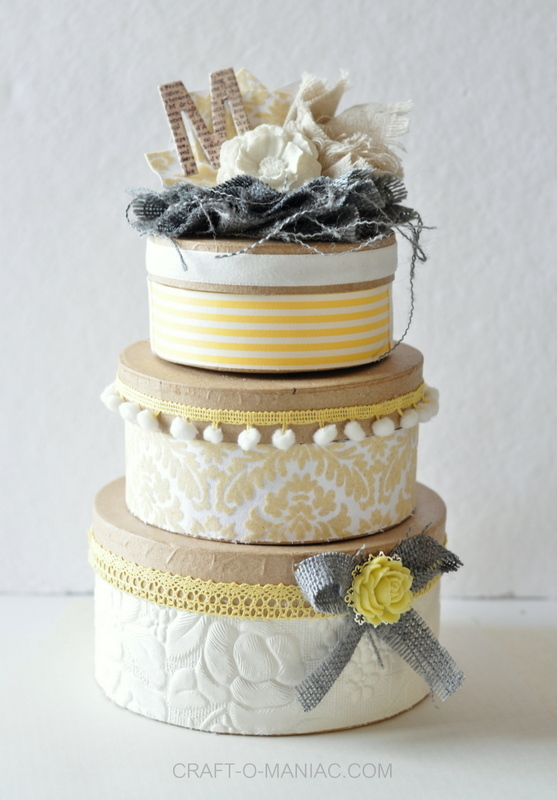 Also, these paper mache boxes can be dressed up or dressed down and styled anyway you would like. – other embellishments such as jewelry etc. I started by taking the boxes with the lids “on” and holding them on there sides onto the paper. I made a small mark as to the width of the paper that was needed to cut to cover the box. I then used my paper trimmer and cut the paper. I used my glue gun and glued down the paper. 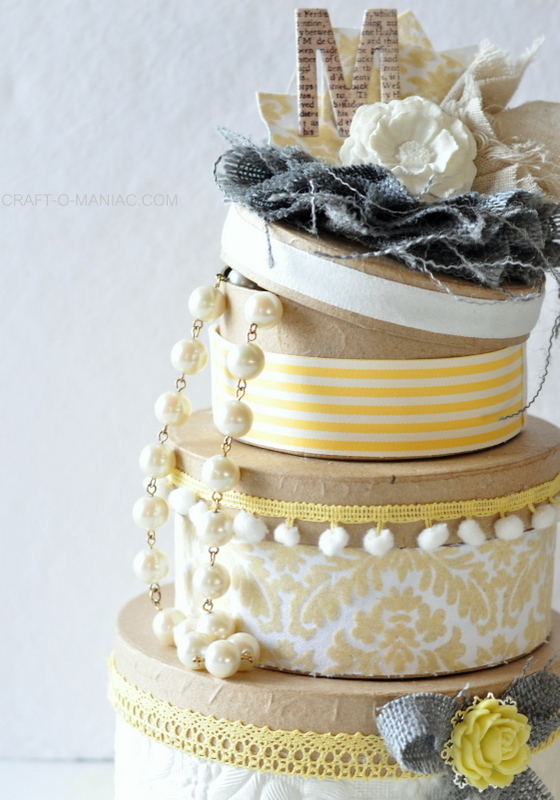 I then took my ribbons and covered the lids, hot glued the ribbons down, and trimmed any excess ribbon off. I used some jewelry I had from my jewelry making bin and added them to the top and the bottom boxes. 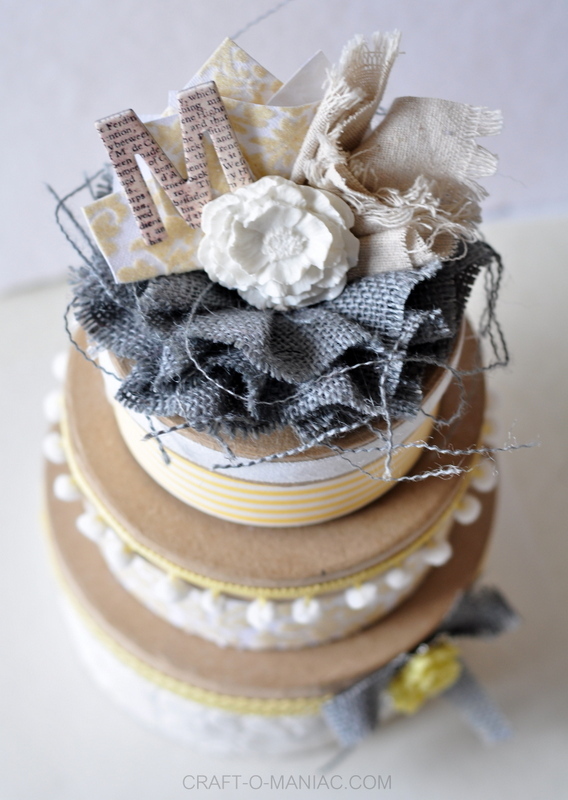 I used other textures such as burlap, duck cloth, and cut folded over paper, because creating textures really looks nice. 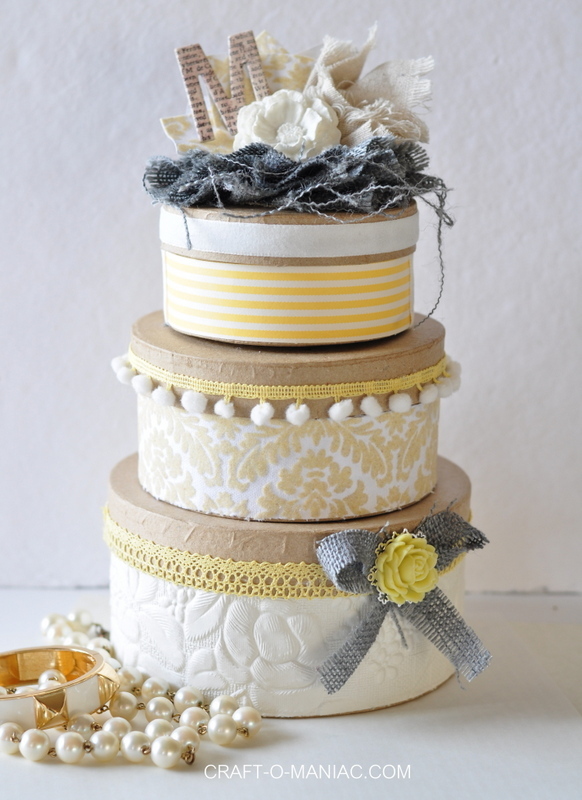 I love the layers and again the textures that the burlap flower gave to the top as well as the cut burlap bow to the bottom front. 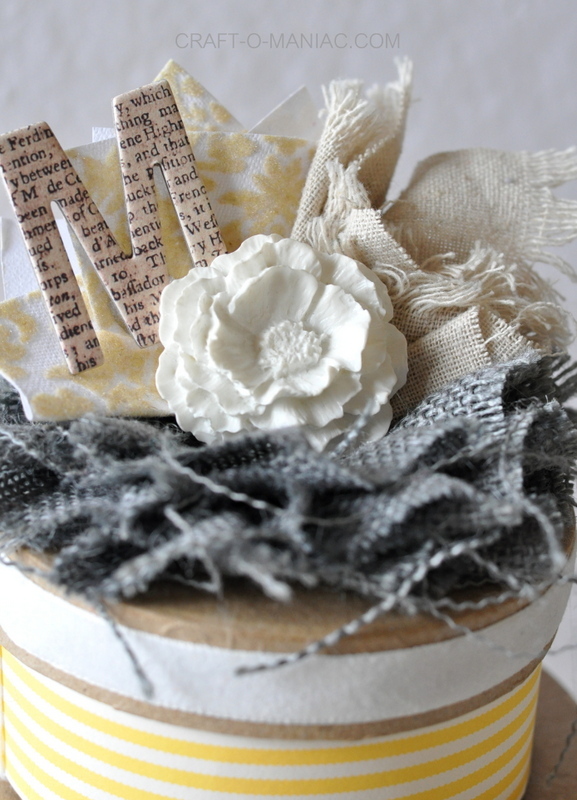 All the lovely paper I used on each box, as well as the burlap bow and burlap flower are all from Canvas Corp. Also the cute chip board letter “M” for “Mom” came in a cute package of alphabet letters by 7 gypsies, and I love them. 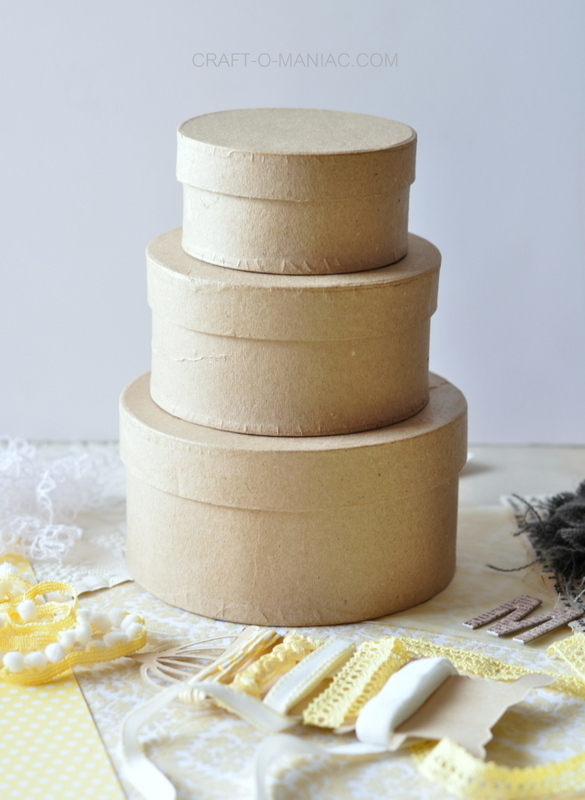 So here are the DIY Stacked Embellished Boxes. I am going to fill each one of the boxes with a surprise, I think jewelry in the top, dove chocolates in the middle, and some travel sized Bath and Body Works lotion and body wash in the bottom. I think my mom will love it. P.S. she doesn’t go online so she won’t see this.